With its wholesome, nutty flavor Barlean's Highest Lignan Flax Oil is a pure, unfiltered and unrefined source of essential omega-3 fatty acids and nutrient-rich lignans. A foundational addition to a healthy diet, our organic, high-lignan content flax oil is ideal for those who aspire to nutritionally support: Heart Health, Cholesterol Levels Already Within a Healthy Range, Joint Mobility & Bone Density, Energy & Endurance, Blood Glucose Levels Already Within a Healthy Range, Skin, Hair & Nail Health. Same great products as above in capsule form! 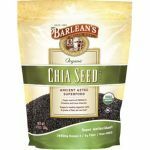 Barlean's Organic Chia Seeds are a whole, vegetarian superfood naturally rich in Omega-3 essential fatty acids, dietary fiber, protein and amino acids. Revered as a natural appetite suppressant and offering a comprehensive range of nutrients, vitamins and minerals, this mild tasting seed is a great addition to smoothies, juices, salads and many other recipes. 100% Organic, Kosher, Non-GMO Vegan Source of Omega-3, Vitamins and Trace Minerals, Supports Healthy Digestion with 5 grams of Fiber Per Serving, 2,850 Omega-3 Per Serving, Super Antioxidant, Available in 12 oz. resealable pouch. 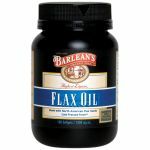 With its wholesome, nutty flavor Barlean's Highest Lignan Flax Oil is a pure, unfiltered and unrefined source of essential omega-3 fatty acids and nutrient-rich lignans. A foundational addition to a healthy diet, our organic, high-lignan content flax oil is ideal for those who aspire to nutritionally support: Heart Health, Cholesterol Levels Already Within a Healthy Range, Joint Mobility & Bone Density, Energy & Endurance, Blood Glucose Levels Already Within a Healthy Range, Skin, Hair & Nail Health. 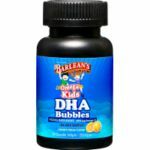 Barlean's Omega Kid's DHA Bubbles orange cream chewable softgels are a fun, easy way to provide your children with optimal levels of nutritious Omega-3. Kids love the delicious burst of all-natural orange cream flavor; parents love the benefits of vital and essential Omega-3. With its wholesome, nutty flavor Barlean's Highest Lignan Flax Oil is a pure, unfiltered and unrefined source of essential omega-3 fatty acids and nutrient-rich lignans. A foundational addition to a healthy diet, our organic, high-lignan content flax oil is ideal for those who aspire to nutritionally support: Heart Health, Cholesterol Levels Already Within a Healthy Range, Joint Mobility & Bone Density, Energy & Endurance, Blood Glucose Levels Already Within a Healthy Range, Skin, Hair & Nail Health. Same great products as above in capsule form! Barlean's has extended our family to the Philippine Island of Quezon to bring you the absolute best-tasting and�most nutritious coconut oilcold pressed fresh for your vibrant health and energy. Our 100% organic, island fresh�Extra-Virgin Coconut Oil�is hand selected, picked fresh and harvested at the peak of flavor and nutritional value. Omega Swirl is an Omega-3 Sensation with the taste and texture of a fruit smoothie! Now everyone can enjoy the benefits of Omega-3 without the oily taste and texture of liquids or having to swallow large capsules. Rich in Omega-3 fatty acids, Omega Swirl flax and fish oil supplements are the freshest, best-tasting and most nutritious Omega-3 products, naturally. Omega Swirl is the perfect solution for the whole family! Packed with essential Omega-3s, Omega Swirl was created to nutritionally support: Heart Health, Cholesterol Levels Already Within a Healthy Range, Joint Mobility and Bone Density, Energy and Endurance, Skin, Hair and Nail Health, Mental Health, Wellness and Acuity, Blood Glucose Levels Already Within a Healthy Range, Sexual and Hormonal Health With its wholesome, nutty flavor Barlean's Highest Lignan Flax Oil is a pure, unfiltered and unrefined source of essential omega-3 fatty acids and nutrient-rich lignans. A foundational addition to a healthy diet, our organic, high-lignan content flax oil is ideal for those who aspire to nutritionally support: Heart Health, Cholesterol Levels Already Within a Healthy Range, Joint Mobility & Bone Density, Energy & Endurance, Blood Glucose Levels Already Within a Healthy Range, Skin, Hair & Nail Health. Fresh Catch��Signature Fish Oil liquid is ideal for people who are seeking the absolute�highest-quality fish oil�at the best value. Fresh Catch��Fish Oil is a pristine source of ultra-purified, pharmaceutical- grade fish oil, providing naturally occurring levels of EPA and DHA for your vibrant health and energy. Fresh Catch��Fish Oil includes all of the quality attributes found in the entire Fresh Catch��line of quality fish oil products. 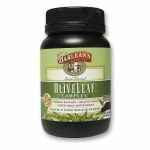 Now available in convenient liquid-filled softgels, Barlean's Olive Leaf Complex is a Super ORAC Antioxidant health tonic with 1,000 mg of Omega-3 (from flax oil) per dose! Available in 45, 90 and 180 count. With its wholesome, nutty flavor Barlean's Highest Lignan Flax Oil is a pure, unfiltered and unrefined source of essential omega-3 fatty acids and nutrient-rich lignans. A foundational addition to a healthy diet, our organic, high-lignan content flax oil is ideal for those who aspire to nutritionally support: Heart Health, Cholesterol Levels Already Within a Healthy Range, Joint Mobility & Bone Density, Energy & Endurance, Blood Glucose Levels Already Within a Healthy Range, Skin, Hair & Nail Health. Same great products as above in capsule form! 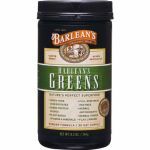 Barlean�s Omega Twin is a significant advancement in essential fatty acid nutrition. This product combines our organic flaxseed oil, the world�s richest source of alpha-linolenic acid (LNA) Omega-3 with our borage oil, the world�s richest source of gamma-linolenic acid (GLA) Omega-6. A special synergism exists between these two important fatty acids that may potentiate their effects. Both LNA and GLA may support the body's response to conditions associated with allergy, inflammation, pain and swelling. Studies have shown that GLA may support the healthy nerve function and joint health of individuals with Diabetic Neuropathy and Rheumatoid Arthritis. Essential Fatty Acids may be effective in the healthful production of skin cells in individuals with the skin condition Dermatitis and the combination skin condition of Dermatitis/Eczema. Same great product as above in capsule form!